This Agreement is made and entered into on the _______ day of ________ , ________ by and between __________________ ( Institute or Preparatory Office ), Academia Sinica ( hereinafter referred to as “A” ) and ____________ ( hereinafter “B” ). The parties agree that the term of this agreement shall be commencing from this _________ day of ________ , _________ to the _______ day of _______ , _________ . A shall pay B a salary of N.T.＄____________ per month. 4.1 B shall handle in a confidential manner all matters relating to A’s business. This confidentiality obligation shall remain effective during the period specified in the regulations or working rules concerned. In case that no time period is specified, it remains effective for successive three (3) years’ terms after B’s termination of this employment. In the event that B violates any law or regulation, or breaches this Agreement or working rules concerned, A may in its discretion reprimand B or terminate this Agreement. A also reserves the right to institute suit against B for civil compensation or to impose criminal liability. 4.2 During the term of this Agreement, B shall comply with the directions and instructions of his/her supervisors, perform his/her duties in accordance with all regulations and relevant working rules. Where B violates any obligation specified in this paragraph and the case is considered to be serious in nature, A may in its discretion terminate this Agreement. If at any time the parties intend to terminate this Agreement due to causes beyond the reasonable control of such party, either shall give thirty (30) days’ notice of cancellation to the other party prior to the intended termination date. B shall vacate his/her office under and pursuant to the stipulations agreed upon by both parties. B shall submit to the proceedings in prescribed manner as to be vacated of his/her office. In case of any one of the following conditions which is due to B’s fault，B shall be responsible for compensation：(1) Where B inflicts damage to or excessively abuses machinery, equipment, tools, raw materials, products or other article belonging to Academia Sinica；(2) Where B commits torts；(3) Where B violates A’s ownership of intellectual property rights. 5. B shall comply with any administrative regulations and rules provided by A. In regard to the matters of absence on leave, “pay-as-you-go” contribution benefit, labor insurance and national health insurance, the following terms and conditions shall be applicable. 5.1 “Absence on leave ” shall be operated pursuant to “Regulation of Absence on leave for Personnel served in all Executive Yuan organizations under Civil Contractual Relationship”. 5.2 The deduction and grant of “pay-as-you-go” contribution benefit shall be operated pursuant to “Regulation of ‘pay-as-you-go’ contribution benefit for Personnel served in all organizations and schools under Civil Contractual Relationship”. Certain amount of salary shall be deducted per month and accrue on the financial institute over the term of this employment. 5.2-1 An amount equal to seven percent ( 7�) of the monthly salary shall be contributed. A shall provide the other fifty percent ( 50�) of the contribution ( hereinafter called “public contribution benefit”), and shall open a special account on financial institute as to accumulate and manage this contribution (personal plus public) . 5.2-2 The total amount of the contribution benefits (personal plus public) shall be granted toB, if at any time (a) B leaves the office on the expiry of this Agreement, (b) B vacates the office prior to the expiration date with the consent of A, and (c) B deceases due to undertaking of duty, illness or accident. 5.2-3 The amount of personal contribution benefits accumulated shall be granted to B, if at any time (a) A terminates this Agreement inasmuch as B breaches any obligation, and (b) B resigns from the office prior to the expiration date without the consent of A. 5.2-4 Any matter or event not provided in the context of this Article shall be operated pursuant to “Regulation of ‘pay-as-you-go’ contribution benefit for Personnel served in all organizations and schools under Civil Contractual Relationship” and relevant regulations. 5.3 During the term of this Agreement, A shall insure B subject to the terms and conditions pursuant to labor insurance regulations and national health insurance regulations. 6. Both parties agree that A shall own proprietary right pertaining to the literary works or achievements completed by B under the projects initiated or coordinated by A during the term of this Agreement. The ownership of intellectual property rights ( including but not limited to certain patents, trademarks, copyrights, technical information and know-how ) accrued from the literary works or achievements herein contained is subject to the relevant regulations and rules provided by A. At the expiration of the term of this agreement, the employment relationship shall automatically terminate without any condition. A new employment agreement shall be signed for the renewal and continuance of such relationship, if agreed to any by both parties. 8. Any matter or event not provided in the context of this Agreement shall be governed by and interpreted in accordance with “Employment Regulation for Personnel under Civil Contractual Relationship” (stipulated by Academia Sinica ) & “Employment Regulation for Personnel served in all Executive Yuan organizations under Civil Contractual Relationship”. The Chinese text of this Agreement shall be deemed the original. 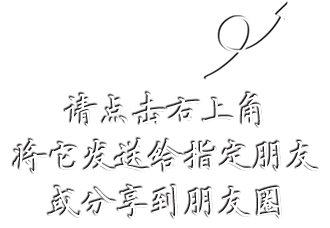 In the event of any dispute or misunderstanding as to the interpretation of the language or terms of this Agreement, the Chinese language version shall control. Any dispute or controversy between the parties with respect to this agreement shall be determined in accordance with the laws of the Republic of China. The parties hereby submit and consent to the non-exclusive jurisdiction of the Shih-Lin District Court. 11. In Witness whereof，the parties hereto have executed this Agreement in three (3) counterparts on the date first above indicated, each such counterpart being deemed an original and all such counterparts together constituting one single instrument. The parties have delivered this Agreement, two for A ( the Central Administration Office and the Institute or Preparatory Office hereto ) and one for B.